I have the opportunity to play a wide range of styles with numerous bands. Here you will find the projects I am closely invested in and how to connect with each of them. I have always had a love for jazz music ever since I discovered legends like Oscar Peteson, Thelonious Monk and Bill Evans. In the spirit of some of the great jazz pianists that have come before me as well as influenced by current pianists like Robert Glasper, Brad Meldau and Ethan Iverson of The Bad Plus, I founded a piano trio in '17 featuring Steve Davis on drums and Ben Wheeler on bass. My trio primarily spotlights my original compositions infused with modern pop covers arranged in a jazz style and classic standards from the jazz catalog. I am excited to debut my new album "Moving Forward In Time" at a CD celebration show May 31st in STL, MO and 7/21 in KC, MO. *Check calendar for more details. The album will be available 3/13 online. Drawing upon influences from musical groups such as Stevie Wonder, Marvin Gaye, The Roots and John Legend the band creates their own eclectic “pop” sound. Connecting the body, mind, and spirit, Fresh Heirs' music keeps their audiences moving while they deliver meaningful words of encouragement in harmony over a high energy musical platform featuring blazing guitar, lush keys, bumpin bass and rippin' horn lines. Fresh Heir has been putting on high energy performances since 2007. Originally a 5 piece ensemble the band now has 10+ pieces. Meeting at Webster University (St. Louis, MO) in the jazz studies program. At the time, their sound featured instrumental originals/covers similar to Soulive, RH Factor and Charlie Hunter. Evolving, the band added vocals to the energy and began writing positive inspired lyrics in 2009 as showcased on their "Alive Around The World" and "Sky's The Limit" Albums. Nick Savage and Ryan Marquez have remained the bands core founders as membership has been fluid through the years. The current configuration has been together for 4 years and features a cast of STL's top players. FH's current album "All Up From Here" (2016) displays a melting pot of funk/soul/pop/jazz/hip-hop. The album features a message of equality, peace and social justice for all. The band is currently in production on their 5th release "Believe" due out in 2017. The album's title track features an anthem for unity in the world. 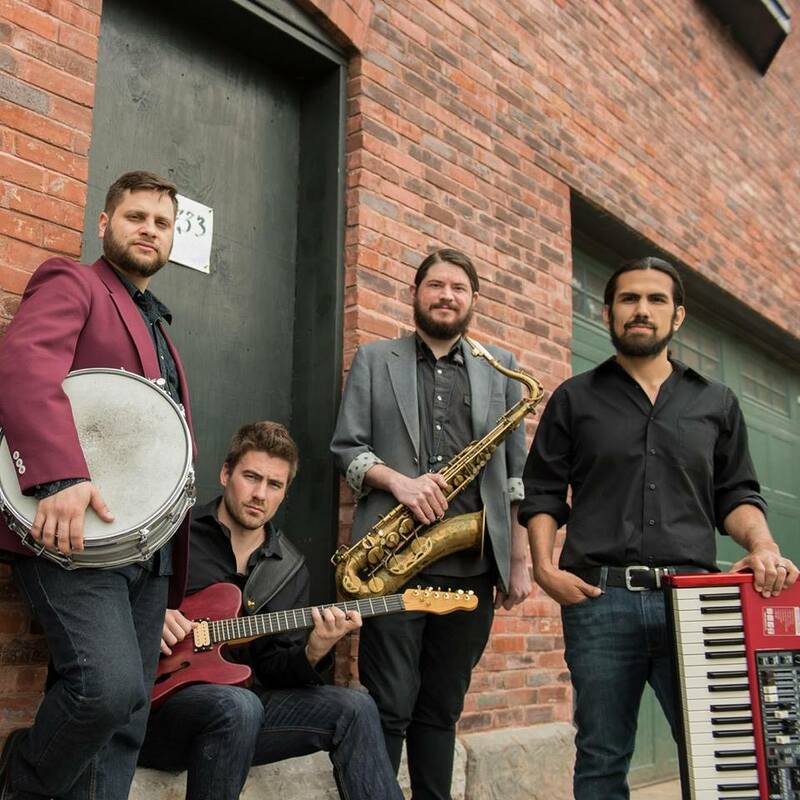 Combining the happy swingin' feel of the Kansas City Jazz scene with the hard, soulful groove of St. Louis Funk, Soul, and Blues, The People’s Key blends these Mid-Western styles into one coherent sound. They swing in the traditional style of jazz, providing listeners the opportunity to ride along as they relive the sounds of their lifetimes with tunes by modern artists from Michael Jackson and Stevie Wonder to Jay-Z and Bruno Mars. This band puts the classic organ group sound of the ‘50s & ‘60s on all your favorites from the ‘70s, 80's, 90's to current. The group is designed to connect the jazz vernacular with a modernized songbook and features a classic jazz organ sound. The People’s Key performs material from popular artists, genres, songs, and themes for a familiar tune to the listener but fun spin of their own on classic material. Debuting in 2013, the group has had the opportunity to open for national acts such as The Jeff Coffin Mu’tet and Fareed Haque’s Math Games. The band has released 3 albums The Sean Carter Jazz Suite with Lamar Harris (2014) and Heal The World (2015). The band’s current release “Within You” (Fall 2016) features music of The Beatles, Jimi Hendrix, 90’s grunge and more. The group has done entire themed shows of the music of Michael Jackson, Stevie Wonder, Jimi Hendrix, The Beatles’ Sgt. Pepper’s, Pink Floyd, Video Games and Jay-z. The Belief Cycle is a Pop duo based out of Chicago, IL with the mission of spreading more love into the world. 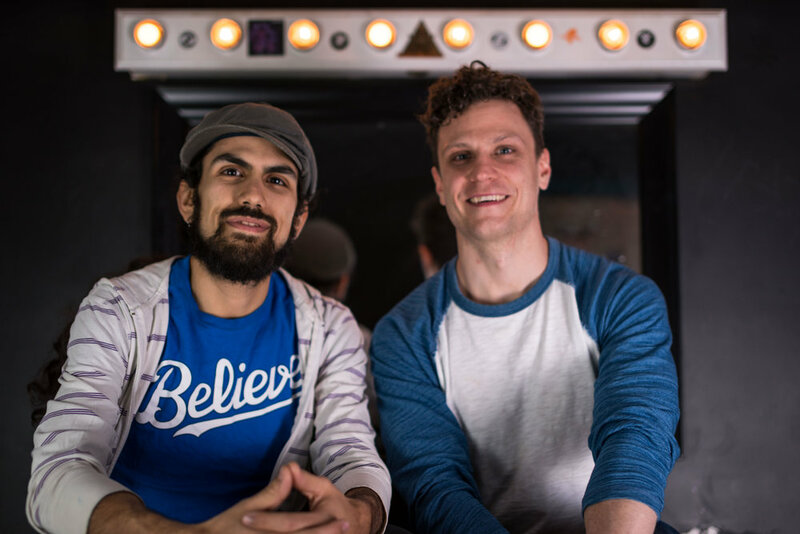 Formed in 2016 by STL native Drew Manita on vocals, drums and guitar & KC native Ryan Marquez on keyboards & bass, the group has been producing songs to inspire in a catchy, innovative format. Combining pop vocal delivery, danceable drums, funky bass lines and soulful keys with lyrical insights on overcoming life's struggles, TBC's music aims to leave you feeling good. Debuting in 2018, I am now creating music for relaxation, meditation and general calming activities in the New Age genre. The Lotus Journey features soft piano improvisations over warm layers of synth pads that will help ease tension and promote a happy sound space in the listeners environment. Designed for activities such as yoga, reading, meditating, sleeping, floating, and more. Matt is a phenomenal singer/songwriter/guitaristwho captures the essence of American roots music while breathing a fresh new fusion of pop sounds. His group's sound features a melting pot of American music utilizing slide steel guitar folky, blues tunes to rocking electric guitar singer/songwriter blues influenced tunes.